This first year of your new baby’s life is so precious; all the sleepless nights seem like an eternity but they are here and gone before you know it. Be sure to capture all their changes with milestone sessions. Our Baby Photography Plan is $250 and covers the first year of session fees (newborn, 3 month, a 6 month, a 9 month and the one year sessions). There are also special offers available for each session type. 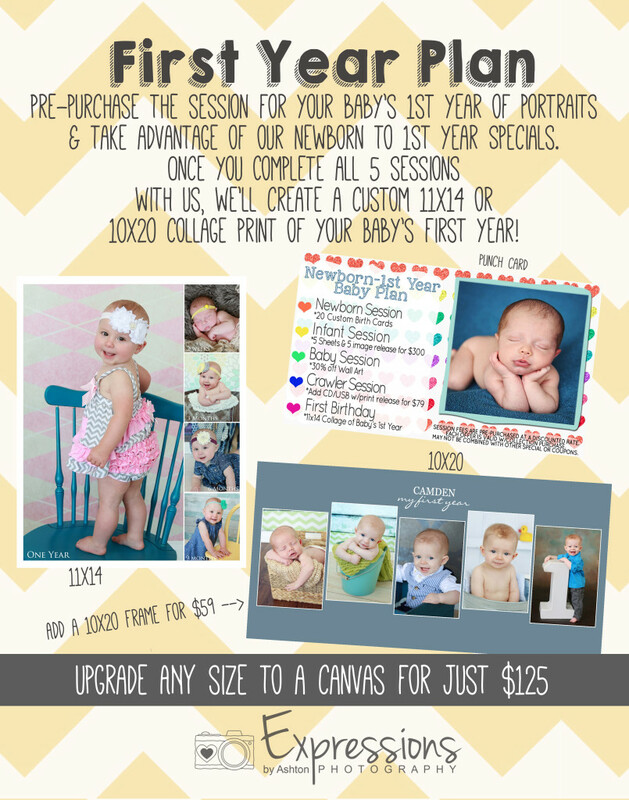 And the best part, after the first year, you will receive a custom collage showcasing your little one’s first year. Prints and products sold separately. *Image purchase required to include in collage print. Images start at $55 each. See Studio for full details. Birthday Photography Plan Also Available. Just Need A Little Information!